Client was charged with First Degree Arson and Armed Burglary, two felonies punishable by life in prison, as well as multiple counts of Grant Theft Firearm, Discharging a Firearm on School Grounds, and Burglary of a Structure while Armed. Defendant faced a lengthy prison sentence, branding as a convicted felon for life, and was actively monitored by a GPS device while his charges were pending. 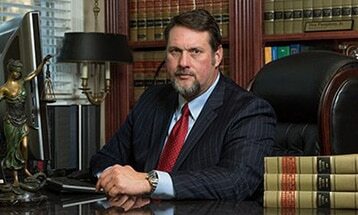 For over two years, the attorneys at the Pumphrey Law Firm fought diligently for the rights and freedom of the client. Attorneys Don Pumphrey, Jr. and Kristian Oldham reviewed and deciphered every piece of evidence, created a plan of attack, and ultimately convinced the State that a prison sentence was not necessary in this matter. Ultimately, the client entered a plea to a lesser offense of Felony Criminal Mischief, a third degree felony, as well as pleas on ten counts of Grand Theft Firearm. These offenses allowed client to have his adjudication withheld, prevented him from being branded a convicted felon for the rest of his life, and saved him from serving a substantial prison sentence. In the end, thanks to the work of Pumphrey Law, the client was sentenced to a term of probation and was released from the constraints of active GPS monitoring.